There is nothing quite like the stress of exam time. With worries mounting and revision piling, healthy living can often be the last thing on your child’s mind. But did you know that their lifestyle choices can affect their exam performance? The best way to think smarter is to eat smarter. Making the time for healthy pre-exam foods can give your child the added edge they need for results success. By making sure your child has a healthy breakfast, stays hydrated and gets enough sleep, you can help boost their concentration levels and alertness, which they’ll need to focus on their assessments. “Breakfast is associated with improved memory and helps children to retain what they learn in the classroom. 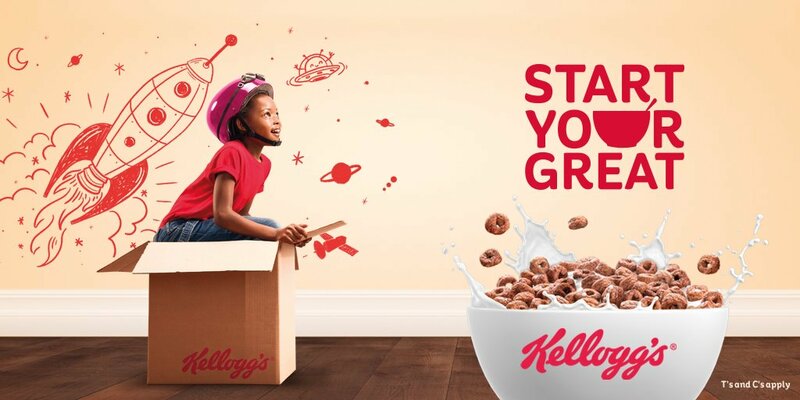 It is key to maximising exam performance,” says Kellogg’s Breakfasts for Better Days™ dietitian, Cheryl Meyer. As well as becoming lethargic and irritable, by skipping breakfast your child will miss out on the essential vitamins they need now more than ever. These vital vitamins include B-vitamins, the “anti-stress” vitamins that play an important role in keeping your child’s mind calm and helping them to think clearly. Nutrients from a healthy breakfast will improve their concentration which may also translate into better understanding of exam questions and overall results. Whilst there is much to be said about the importance of breakfast, a quick cold drink and sweets just won’t cut it. Over and above ensuring your child has time for food, the nature of their choices should be equally considered. 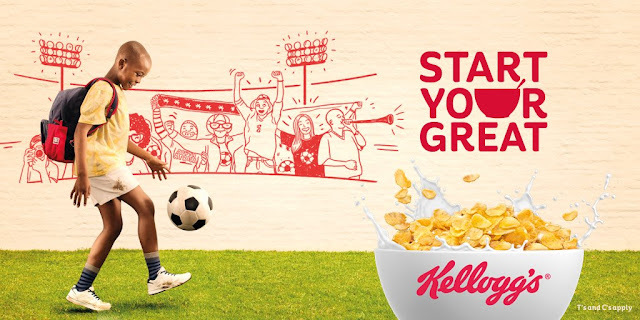 By providing your child with breakfast that contains high fibre carbohydrates and protein, like cereal and milk, you can ensure that they have sustained energy for their testing day ahead. Although your child may be a big fizzy drink fan, sugary drinks can give huge sugar crashes midway through exams or revision. Try and make sure they avoid a sugary drink binge and be wary of caffeine as that can increase their nervousness. Water is still the best choice for hydration so make sure they pack a water bottle. Fruits and vegetables rank high among the best foods for your child’s brain. Aim to feed them fresh produce in a range of colours every day to give them the different nutrients they need for good health. Snacking this way will ensure they receive the natural sugars and fibre their bodies need for sustained energy - as opposed to them eating sweets and experiencing the sugar crash that follows. While it easy for them to get into the habit of late night revision cramming, getting enough sleep is vital for your child during this stressful time. On the night before the exam, they should stop studying early evening and prepare their clothes and bag ready for the morning. To function best on exam day, it is important that they not only choose healthy food and drink options, but also that they minimise stress on the day by being prepared the night before. With a balanced breakfast filled with the correct nutrients, plenty of water and a restful sleep, children can fuel both their bodies and their minds, giving them the energy and the concentration they need to achieve the best they can during this upcoming exam period. To learn more about Kellogg, visit the website: www.bfbd.co.za, Facebook: www.facebook.com/KelloggsSA or follow on Twitter @KelloggsZA.